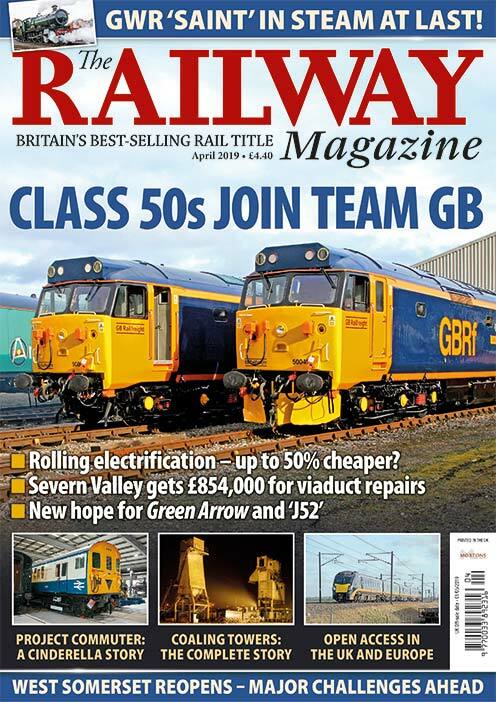 The link between railways and music is extremely strong, as our best-selling souvenir issue on the subject revealed three years ago. Now, British folk singer Billy Bragg has produced an album of popular railroad songs with a difference – they were recorded not in a studio, but on trains and stations during a 2,728-mile journey from Chicago to Los Angeles. Nick Pigott reports. ALIGHTING from a long-distance train en route can be pretty nerve-wracking. Even if you’re only stretching your legs or grabbing a quick drink, there’s a nagging fear that the train might leave unexpectedly, stranding you in the middle of nowhere and disappearing into the distance with all your worldly goods. So imagine clambering out of a carriage lugging guitars, microphones and recording equipment… and performing an entire song on the platform before the train leaves! That’s the remarkable feat folk singers Billy Bragg and Joe Henry managed to achieve on several stations in the spring of this year, and the results are now available on a new CD entitled Shine a Light. 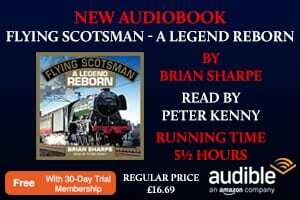 The album contains 13 classic songs from the golden age of steam, including such favourites as Lonesome Whistle, Rock Island Line, The Midnight Special and The L&N Don’t Stop Here Anymore. 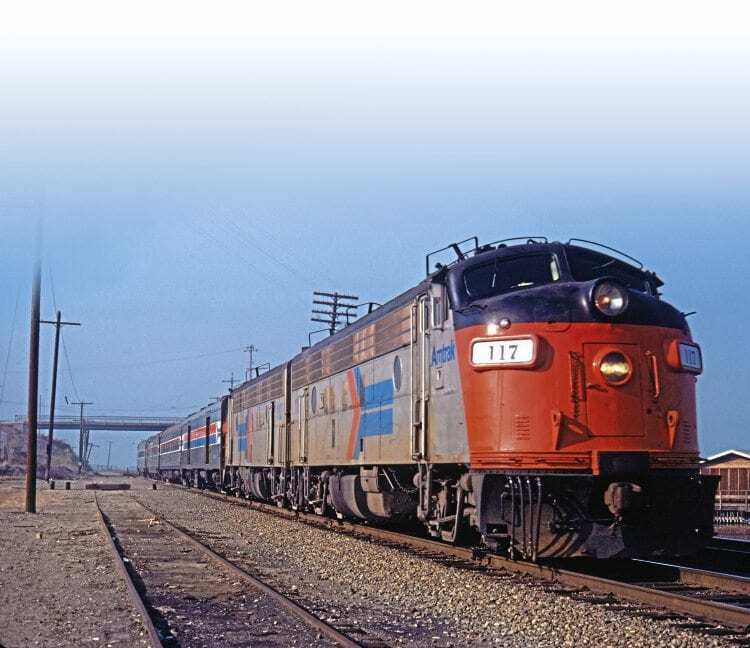 It’s a nostalgic journey into America’s rich railroading past, recalling tales of engineering excellence, romantic heartbreak and, of course, the adventures of the ‘hobos’. The hobo holds an almost mythical place in the hearts of many Americans, recalling an age when money was short and young men would take huge risks with their liberty and safety to hitch illegal rides on inter-state freight trains in search of work. 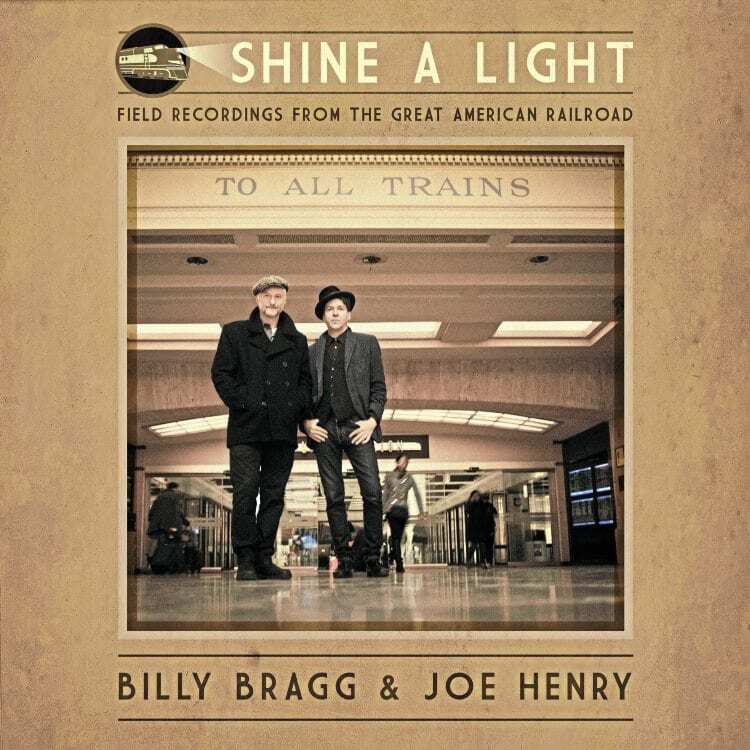 The cover of the new Billy Bragg and Joe Henry CD, featuring railway songs. It is that, Billy told me, which partly explains why the US has so many more railway-themed songs than the UK. “For centuries, Britain was more of a maritime nation and therefore has lots of sea shanties and similar tunes, whereas the far greater internal distances in America meant that drifters and men wanting to start a new life tended to take a train rather than a ship. 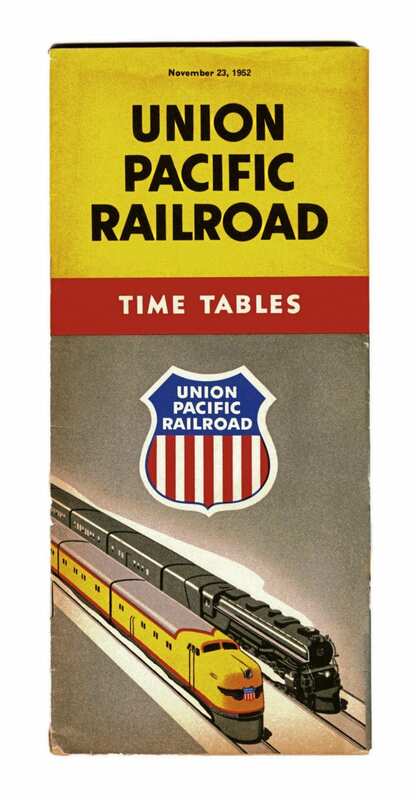 Railroad songs, many of them sung by black construction workers in the 19th and early 20th centuries, helped form the bedrock of American popular music and were later disseminated to a wider audience by the likes of recording artistes such as Jimmie Rodgers (The Singing Brakeman), Hank Williams, Woody Guthrie and Lead Belly. The latter (real name Huddie Ledbetter) served time in a Texas prison and The Midnight Special takes its title from the name given by the prisoners to a Southern Pacific express that left Houston every night. As it passed the prison, its headlight would flash momentarily into the cells and legend had it that the inmate on whom it shone would be the next to get parole. In the mid-1950s, another Lead Belly song, Rock Island Line, became a hit for British musician Lonnie Donegan – sparking the skiffle craze that inspired John Lennon, Paul McCartney and a generation of British teenagers to pick up guitars and form the groups that would, in turn, invade America in the 1960s. 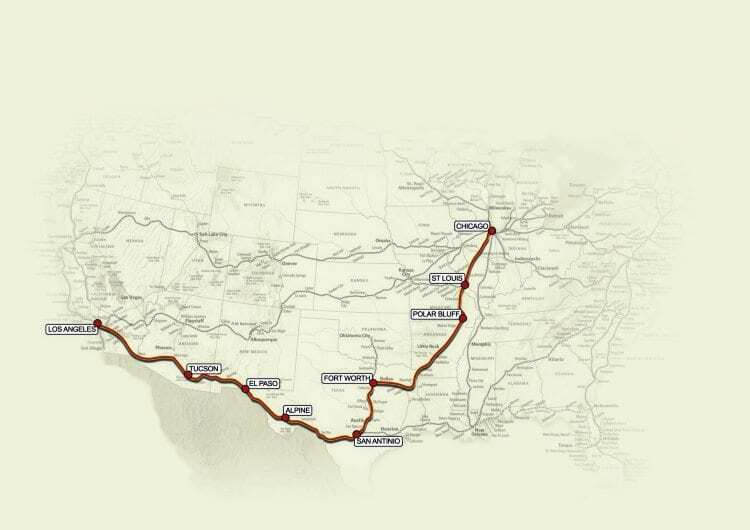 A map of the route taken by Billy Bragg and Joe Henry. Half a century after those heady days, Billy and Joe, himself a US citizen, decided to connect with the past by taking the songs back to the places in America that originally inspired their creation. well-known British singer and songwriter since the early-1980s. “I knew a lot about the history of music, but I was surprised when I realised just how many railroad songs there were. “In many ways, the railway has been a metaphor for a huge range of emotions… loss, aspiration, freedom. 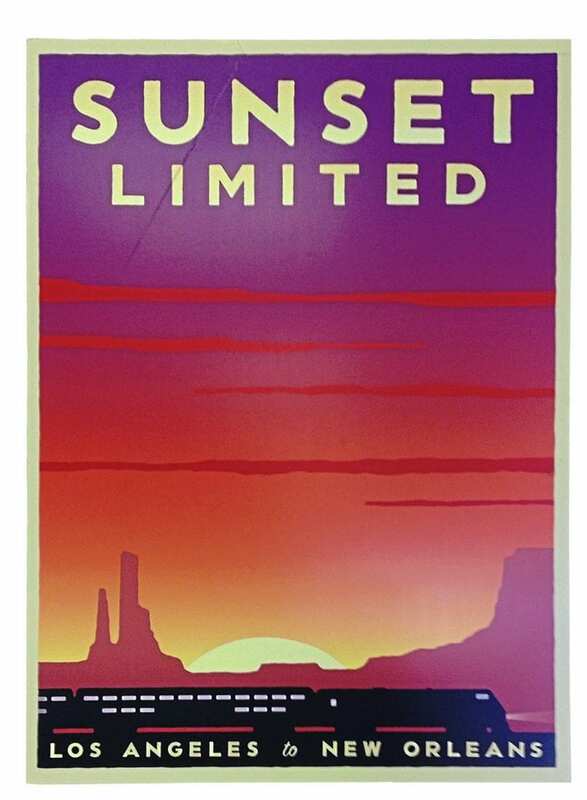 Shine a Light – which takes its title from a line in one of the album’s tracks – was recorded in the course of Billy and Joe’s three-day, 2,728-mile journey across the US on the ‘Texas Eagle/Sunset Limited’, an Amtrak through service connecting the Union stations of Chicago and Los Angeles via St Louis, Fort Worth, San Antonio and El Paso. “We recorded in waiting rooms and on platforms while the train paused to drop off and pick up passengers,” said Billy. “During the performances, we kept half an eye on the train and jumped back on board just before it pulled out for the next town. 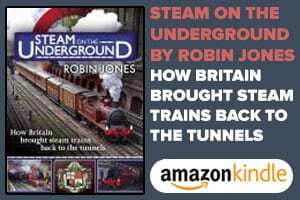 “The stops tend to be longer than they are in Britain, but even so, it was a pretty close-run thing at a couple of places and we didn’t dare risk it at St Louis, because the layout of the platforms there meant we couldn’t see the train from the station building. A few of the songs were performed at the beginning and end of the journey and one – Lonesome Whistle – was even recorded on board the train while it rumbled through the night ‘somewhere near Poplar Bluff, in Missouri’. The recording locations give clues to those who listen to the CD carefully. For example, a station announcer can be heard in the background on one track, a slamming baggage car door can be heard on another and there are even the sounds of a noisy flock of birds audible in the background as they perform in Fort Worth.